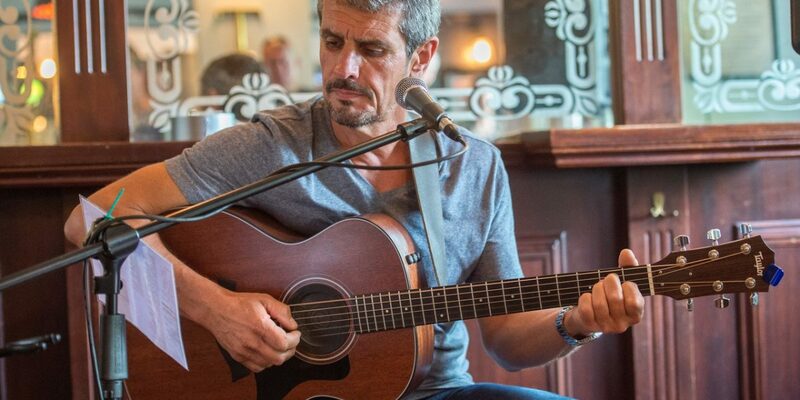 Steve Brookes, renowned for his work with Paul Weller, will be playing at The Greyfriar at Chawton, Alton on Saturday, 9th February at 7.30pm. Steve has played on a number of Paul Weller’s albums and received a silver disc from Parlophone Records for his contribution to Paul’s album ‘Saturn Pattern’. In return Paul Weller featured on Steve’s most recent album Hoodoo Zoo. BBC Radio 2’s Blues Show presenter and musician Paul Jones also invited Steve to play with him at a special concert, joining a line-up that included Robben Ford, Imelda May and Mike Sanchez.